Por Un Plan De Protección Para Las Víctimas De La violencia De Género. Queremos Lo Mismo Que Tú Una Andalucía De Primera. Against The Mistreatment Of Women, Protection. 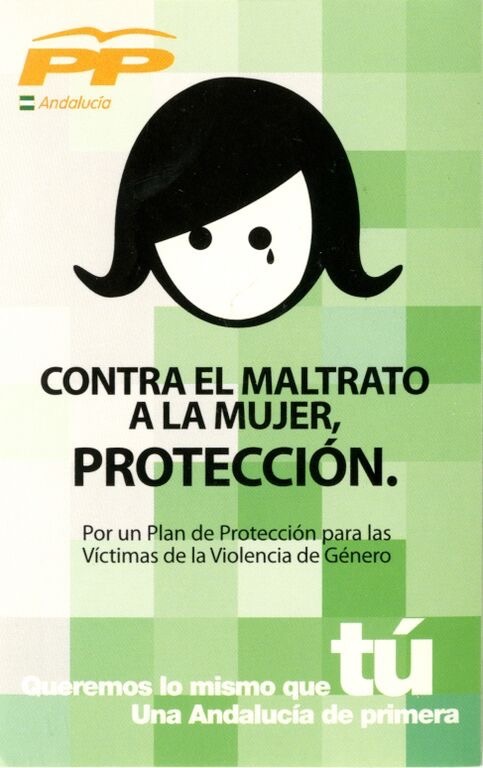 For A Plan Of Protection For The Victims Of Gender Violence. We Want The Same As You. An Andalusia Of Firsts. This sticker depicts the face of a woman with a tear falling down her face. It is advocating for women's rights and to protect women against gender violence. It was produced by the People's Party, a political party in Spain.